The star forming region in the constellation Southern Crown (lat. Corona Australis) is one of the most interesting and beautiful regions in the sky. 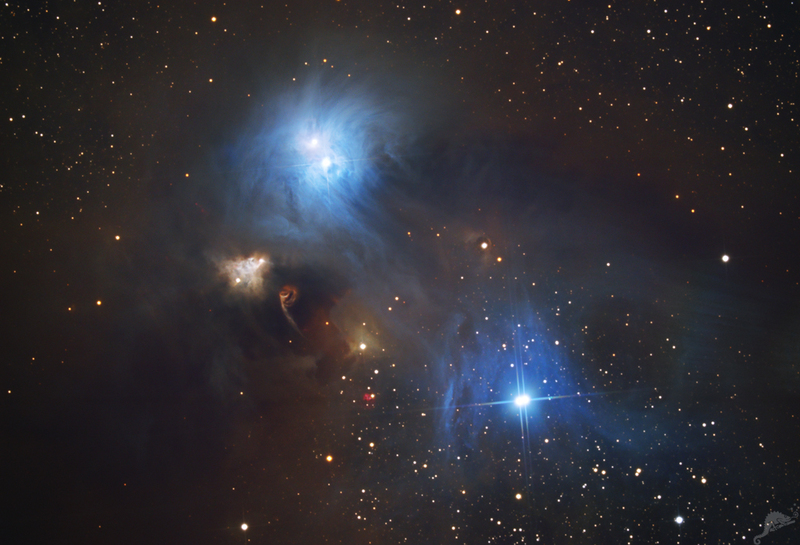 The brightest young stars are responsible for the blue reflection nebulae. In the dark nebulae further young stars are hidden, which can be detected, e.g., in infrared images. These young stars eject gas at a high speed (jets) in the direction of their rotation axis. The jets collide with the surrounding material of the nebula and build a small emission nebula, called Herbig-Haro objects. 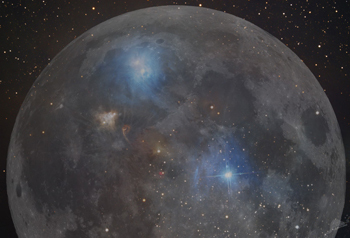 The objects are called after the two astronomers, George Herbig and Guillermo Haro, who recognized the connection between these small nebulae and young stars. 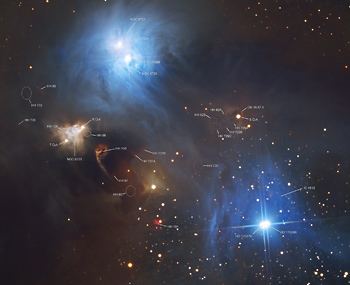 The visible Herbig-Haro objects are marked with HH in the labeled version. Partially, these objects only appear as extremely weak reddish areas in the surrounding dark nebula. 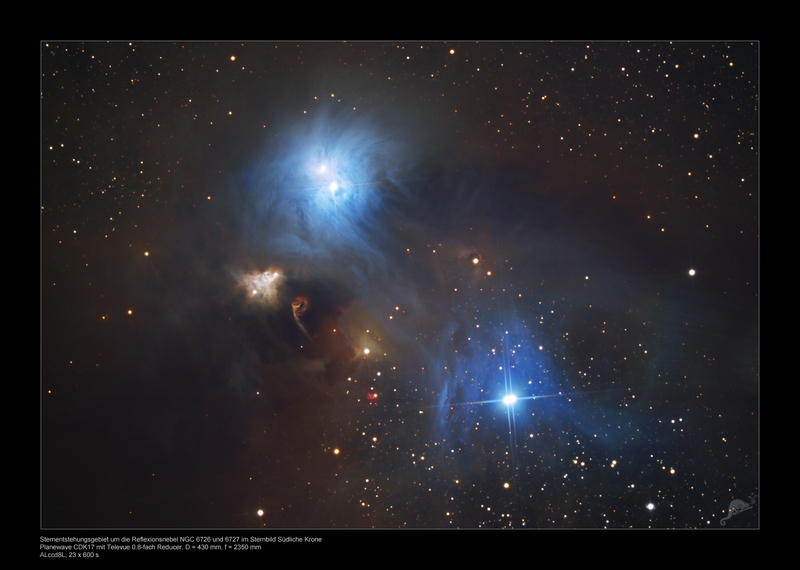 The rays at the right edge of the image probably stem from a reflexion of the bright star e Coronae Australis at the Reducer. 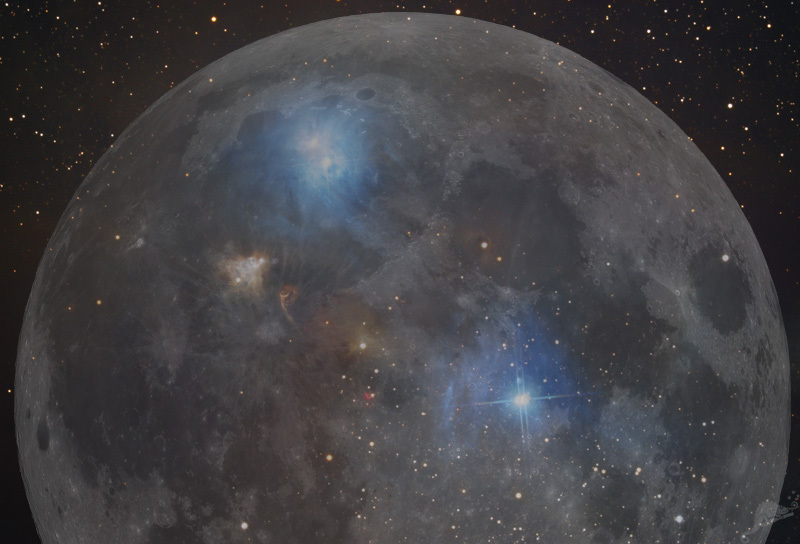 The right image shows a comparison of the size of the Moon. Please click here or the thumbnail to see a lager version..